by Monica Mollica MSc. (Editor’s note: Take at least ~1600 mg EPA and ~800 mg DHA daily! Fish oil should be in the top 3 of everyone’s daily supplement). Fish oil is well known for its beneficial cardiovascular and cardiac health effects. In 2004 FDA approved a prescription fish oil preparation for treatment of high blood triglycerides (hypertriglyceridemia) 1. 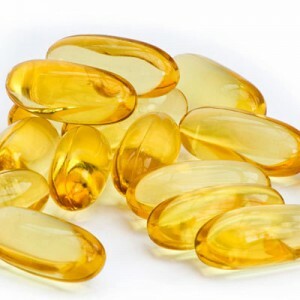 However, recently several studies have shown that fish oil also has other beneficial effects, which might appeal more to the younger population, and especially to fitness and bodybuilding enthusiasts. One of these effects is fat loss. In the 80s early 90s, several animal studies showed that fish oil reduces body fat 2-5 and weight gain 6-9, and limits adipose tissue expansion 10-12. These effects have been seen during both a decreased 37, constant 5 or even increased energy intakes 6. This indicates that the fatty acids in fish oil, notably EPA (eicosapentaenoic acid) and DHA (docosahexaenoic acid), have an effect on the partitioning of fat between oxidation (fat burning) and storage in the body. In search for the mechanisms behind fish oil induced fat loss, it has been found that fish oil exerts favorable metabolic effects by modulating gene expression (which is the process by which the information encoded in a gene is converted into protein)213-26. While we inherit our genes (or blueprints) from our parents, what determines the way in which our blueprints are interpreted is largely dictated by a collection of environmental factors. The nutrients we consume are among the most influential of these environmental factors 2728. One dietary constituent that has a strong influence on our genetic makeup is dietary fat 2131416-1921-232529. Fatty acids of dietary fat not only influences hormonal signaling events, but also have a very strong direct influence on the molecular events that govern gene expression. More specifically, it has been shown that the fatty acids EPA and DHA from fish oil (by affecting gene expression) inhibit the activities of fat synthesizing (lipogenic) enzymes 30-37, while at the same time stimulating the activities of key enzymes that govern fat oxidation (fat burning) 238-46. Fish oil also has been shown to increase levels of adiponectin and decrease levels of cortisol 4748. Adiponectin is a novel adipose tissue-specific protein that circulates in human plasma at high levels 49. It is one of the physiologically active polypeptides secreted by adipose tissue, whose multiple functions have started to be understood in the last few years. Some of its beneficial effects are enhanced insulin sensitivity, and lowered plasma glucose (blood sugar) and triglyceride levels 4950. A reduction in adiponectin expression is associated with insulin resistance 49, and adiponectin levels are inversely related to the degree of adiposity 50. The activity of adiponectin has also been associated with steroid and thyroid hormones, glucocorticoids, and nitric oxide, and has anti-atherogenic and anti-inflammatory properties 50. Thus, it is plausible that fish oil induces some of its effect by affecting adiponectin levels. While the functions of adiponectin are just starting to emerge, it is likely to become a target for therapeutic applications in the future. It is interesting that fish oil lowers cortisol. While the exact role of cortisol in obesity isn’t fully elucidated 5152, it is known that excessive cortisol levels result in substantial fat mass gain 5354. Thus, the reduction in cortisol levels after fish oil supplementation could contribute to the fat loss effect of fish oil. In another upcoming article I will cover the anti-catabolic effects of fish oil in more detail. At this point you might be thinking “ok, that all sounds nice, but I’m not a rat. Does it work in humans”? Yes! Read on…In a landmark study, healthy male participants were given a diet where 6 g of fat from butter, olive oil, sunflower oil and peanut oil was replaced with 6 g fish oil (corresponding to 1.1 g EPA and 0.7 g DHA) per day 55. After 3 weeks the researchers noted a significant increase in resting fat oxidation (fat burning) and a 1.94 lb (0.88 kg) decrease in body fat (measured by DEXA), in the face of a constant energy intake. Since there was no change in body weight, this implies that the fish oil supplement increased lean body mass (more on that in an upcoming article). This effect was seen despite the fact that the subjects were told not to change their usual exercise and diet habits. Another study confirmed the ability of fish oil supplementation to increase fat oxidation (fat burning) during exercise 56. In this study, recreationally active men were given a daily fish oil supplement corresponding to 2400 mg EPA and 1600 mg DHA for 3 weeks. At the end of the study subjects performed a 60 min jogging exercise bout at 60% of VO2max, during which fat metabolism was measured. It was shown that the fish oil supplementation significantly increased the oxidation of fat for energy (e.g. fat burning) during the exercise session 56. It has also been shown that supplementing with fish oil for 3 weeks (1.1 g EPA and 0.7 g DHA daily) significantly decreases insulin levels and increases fat oxidation (fat burning) by 35% (!) after consumption of carbohydrate rich meals 57. Recently, more studies have been published on the topic. In overweight men and women, the effects of the addition of 6 g of fish oil daily (corresponding to 360 mg EPA and 1560 mg DHA) in combination with regular aerobic activity (walking 45 min three times per week at an intensity of 75% of age-predicted maximal heart rate) for 12 weeks, was investigated 58. The results showed that the combination of fish oil and regular aerobic activity not only improved several risk factors for cardiovascular disease, but also significantly reduced the amount of body fat 58. It is interesting that these effects were noted even though the subjects did not change their usual food habits other than adding the fish oil supplement. This indicates the great potential benefits of fish oil combined with regular physical activity for improving body composition and cardiovascular health. In this study, no fat loss was seen in fish oil only group (that didn’t exercise). This could be due to the older age of the subjects (47-51 yrs) in this study compared to the previous studies, and the relatively low dose of EPA. Fish oil supplementation has also been shown to result in a 2.22 lb (1 kg) greater weight loss after 4 weeks of dieting (reduced caloric intake) 59. In contrast to the positive studies, there are a few that didn’t show any fat loss with fish oil supplementation 60-63. This could be due to differences in subject characteristics (age, initial body fat mass, baseline physical activity), methodological differences, and differences in fish oil preparations (see below). However, several high quality studies have shown that fish oil supplementation has a significant fat loss effect in addition to all its other health promoting effects. Overall, fish oil seems to have the ability to shift fat metabolism away from storage toward burning of body fat. In one of the most recent studies on fish oil’s fat loss effect, men and women (mean age 33 yrs) where given 4 g of fish oil corresponding to 1600 mg EPA and 800 mg DHA 48. After 6 weeks, the placebo group, which was given 4 g of safflower oil, showed a tendency towards fat gain. The fish oil group instead had lost 0.5 kg of fat mass and gained 0.5 kg of lean mass, with no change in body weight. This is a very beneficial body composition effect and underscores the importance of investigating fat mass and lean mass separately, since just measuring body weight will not tell anything about potential compositional changes, which after all is what is interesting from both a health, esthetic and physical performance viewpoint. I will cover the anti-catabolic and potential lean mass gaining effects of fish oil in another upcoming article. Whether you are on a diet or not, adding a fish oil supplement to your regimen can effectively help you get in shape. The additional calories from the fish oil will not get stored 64; quite to the contrary, fish oil will help you get rid of calories you already have stored in your body fat. What’s interesting is that fish oil supplementation seems to reduce body fat and waist circumference despite unchanged exercise and/or other dietary practices. Aim for a daily fish oil intake that provides you with at least 1600 mg EPA and 800 mg DHA, but a higher dose, 2400 mg EPA and 1600 mg DHA (a total of 4 g EPA and DHA total), might result in a larger fat loss. To achieve this high intake of EPA and DHA it is advisable to take a fish oil concentrate. In an upcoming article I will go into more detail about fish oil concentrates, different ratios of EPA to DHA in fish oil preparations, their relative effectiveness, safety aspects of high dose fish oil supplementation, and sort through the myriad of fish oil supplements currently available on the market, to help you find a good fish oil supplement that will give you the best bang and effectiveness for your buck. 11. Parrish CC, Pathy DA, Angel A. Dietary fish oils limit adipose tissue hypertrophy in rats. Metabolism: clinical and experimental 1990;39(3):217-9. 12. Ruzickova J, Rossmeisl M, Prazak T, Flachs P, Sponarova J, Veck M, et al. Omega-3 PUFA of marine origin limit diet-induced obesity in mice by reducing cellularity of adipose tissue. Lipids 2004;39(12):1177-85. 13. Clarke SD. Polyunsaturated fatty acid regulation of gene transcription: a mechanism to improve energy balance and insulin resistance. The British journal of nutrition 2000;83 Suppl 1:S59-66. 14. Clarke SD. Polyunsaturated fatty acid regulation of gene transcription: a molecular mechanism to improve the metabolic syndrome. The Journal of nutrition 2001;131(4):1129-32. 15. Clarke SD. The multi-dimensional regulation of gene expression by fatty acids: polyunsaturated fats as nutrient sensors. Current opinion in lipidology 2004;15(1):13-8. 16. Clarke SD, Baillie R, Jump DB, Nakamura MT. Fatty acid regulation of gene expression. Its role in fuel partitioning and insulin resistance. Annals of the New York Academy of Sciences 1997;827:178-87. 17. Clarke SD, Gasperikova D, Nelson C, Lapillonne A, Heird WC. Fatty acid regulation of gene expression: a genomic explanation for the benefits of the mediterranean diet. Annals of the New York Academy of Sciences 2002;967:283-98. 18. Clarke SD, Jump DB. Dietary polyunsaturated fatty acid regulation of gene transcription. Annual review of nutrition 1994;14:83-98. 19. Clarke SD, Thuillier P, Baillie RA, Sha X. Peroxisome proliferator-activated receptors: a family of lipid-activated transcription factors. The American journal of clinical nutrition 1999;70(4):566-71. 20. Davidson MH. Mechanisms for the hypotriglyceridemic effect of marine omega-3 fatty acids. The American journal of cardiology 2006;98(4A):27i-33i. 21. Jump DB, Clarke SD, Thelen A, Liimatta M, Ren B, Badin M. Dietary polyunsaturated fatty acid regulation of gene transcription. Progress in lipid research 1996;35(3):227-41. 22. Jump DB, Clarke SD, Thelen A, Liimatta M, Ren B, Badin MV. Dietary fat, genes, and human health. Advances in experimental medicine and biology 1997;422:167-76. 23. Nakamura MT, Cho HP, Xu J, Tang Z, Clarke SD. Metabolism and functions of highly unsaturated fatty acids: an update. Lipids 2001;36(9):961-4. 24. Ntambi JM, Bene H. Polyunsaturated fatty acid regulation of gene expression. Journal of molecular neuroscience : MN 2001;16(2-3):273-8; discussion 79-84. 25. Price PT, Nelson CM, Clarke SD. Omega-3 polyunsaturated fatty acid regulation of gene expression. Current opinion in lipidology 2000;11(1):3-7. 26. Raclot T, Oudart H. Selectivity of fatty acids on lipid metabolism and gene expression. The Proceedings of the Nutrition Society 1999;58(3):633-46. 27. Moustaid-Moussa N, Berdanier CD. Nutrient-Gene Interactions in Health and Disease. 2nd ed ed: CRC Press, 2001. 28. Berdanier CD, Moustaid-Moussa N. Genomics and Proteomics in Nutrition. 1st ed ed: CRC Press, 2004. 29. Lapillonne A, Clarke SD, Heird WC. Polyunsaturated fatty acids and gene expression. Current opinion in clinical nutrition and metabolic care 2004;7(2):151-6. 30. Hannah VC, Ou J, Luong A, Goldstein JL, Brown MS. Unsaturated fatty acids down-regulate srebp isoforms 1a and 1c by two mechanisms in HEK-293 cells. The Journal of biological chemistry 2001;276(6):4365-72. 31. Kim HJ, Takahashi M, Ezaki O. Fish oil feeding decreases mature sterol regulatory element-binding protein 1 (SREBP-1) by down-regulation of SREBP-1c mRNA in mouse liver. A possible mechanism for down-regulation of lipogenic enzyme mRNAs. The Journal of biological chemistry 1999;274(36):25892-8. 32. Mater MK, Thelen AP, Pan DA, Jump DB. Sterol response element-binding protein 1c (SREBP1c) is involved in the polyunsaturated fatty acid suppression of hepatic S14 gene transcription. The Journal of biological chemistry 1999;274(46):32725-32. 33. Nakatani T, Kim HJ, Kaburagi Y, Yasuda K, Ezaki O. A low fish oil inhibits SREBP-1 proteolytic cascade, while a high-fish-oil feeding decreases SREBP-1 mRNA in mice liver: relationship to anti-obesity. Journal of lipid research 2003;44(2):369-79. 34. Shimano H, Yahagi N, Amemiya-Kudo M, Hasty AH, Osuga J, Tamura Y, et al. Sterol regulatory element-binding protein-1 as a key transcription factor for nutritional induction of lipogenic enzyme genes. The Journal of biological chemistry 1999;274(50):35832-9. 35. Worgall TS, Sturley SL, Seo T, Osborne TF, Deckelbaum RJ. Polyunsaturated fatty acids decrease expression of promoters with sterol regulatory elements by decreasing levels of mature sterol regulatory element-binding protein. The Journal of biological chemistry 1998;273(40):25537-40. 36. Xu J, Nakamura MT, Cho HP, Clarke SD. Sterol regulatory element binding protein-1 expression is suppressed by dietary polyunsaturated fatty acids. A mechanism for the coordinate suppression of lipogenic genes by polyunsaturated fats. The Journal of biological chemistry 1999;274(33):23577-83. 37. Yahagi N, Shimano H, Hasty AH, Amemiya-Kudo M, Okazaki H, Tamura Y, et al. A crucial role of sterol regulatory element-binding protein-1 in the regulation of lipogenic gene expression by polyunsaturated fatty acids. The Journal of biological chemistry 1999;274(50):35840-4. 38. Desvergne B, Wahli W. Peroxisome proliferator-activated receptors: nuclear control of metabolism. Endocrine reviews 1999;20(5):649-88. 39. Kersten S, Desvergne B, Wahli W. Roles of PPARs in health and disease. Nature 2000;405(6785):421-4. 40. Latruffe N, Vamecq J. Peroxisome proliferators and peroxisome proliferator activated receptors (PPARs) as regulators of lipid metabolism. Biochimie 1997;79(2-3):81-94. 41. Minnich A, Tian N, Byan L, Bilder G. A potent PPARalpha agonist stimulates mitochondrial fatty acid beta-oxidation in liver and skeletal muscle. American journal of physiology. Endocrinology and metabolism 2001;280(2):E270-9. 42. Nakatani T, Tsuboyama-Kasaoka N, Takahashi M, Miura S, Ezaki O. Mechanism for peroxisome proliferator-activated receptor-alpha activator-induced up-regulation of UCP2 mRNA in rodent hepatocytes. The Journal of biological chemistry 2002;277(11):9562-9. 43. Power GW, Newsholme EA. Dietary fatty acids influence the activity and metabolic control of mitochondrial carnitine palmitoyltransferase I in rat heart and skeletal muscle. The Journal of nutrition 1997;127(11):2142-50. 44. Schoonjans K, Staels B, Auwerx J. The peroxisome proliferator activated receptors (PPARS) and their effects on lipid metabolism and adipocyte differentiation. Biochimica et biophysica acta 1996;1302(2):93-109. 45. Krey G, Braissant O, L’Horset F, Kalkhoven E, Perroud M, Parker MG, et al. Fatty acids, eicosanoids, and hypolipidemic agents identified as ligands of peroxisome proliferator-activated receptors by coactivator-dependent receptor ligand assay. Mol Endocrinol 1997;11(6):779-91. 46. Reddy JK, Mannaerts GP. Peroxisomal lipid metabolism. Annual review of nutrition 1994;14:343-70. 47. Delarue J, Matzinger O, Binnert C, Schneiter P, Chiolero R, Tappy L. Fish oil prevents the adrenal activation elicited by mental stress in healthy men. Diabetes & metabolism 2003;29(3):289-95. 48. Noreen EE, Sass MJ, Crowe ML, Pabon VA, Brandauer J, Averill LK. Effects of supplemental fish oil on resting metabolic rate, body composition, and salivary cortisol in healthy adults. 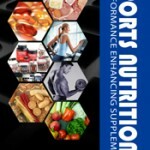 Journal of the International Society of Sports Nutrition 2010;7:31. 49. Diez JJ, Iglesias P. The role of the novel adipocyte-derived hormone adiponectin in human disease. European journal of endocrinology / European Federation of Endocrine Societies 2003;148(3):293-300. 50. Nedvidkova J, Smitka K, Kopsky V, Hainer V. Adiponectin, an adipocyte-derived protein. Physiological research / Academia Scientiarum Bohemoslovaca 2005;54(2):133-40. 51. Walker BR. Activation of the hypothalamic-pituitary-adrenal axis in obesity: cause or consequence? Growth hormone & IGF research : official journal of the Growth Hormone Research Society and the International IGF Research Society 2001;11 Suppl A:S91-5. 52. Salehi M, Ferenczi A, Zumoff B. Obesity and cortisol status. Hormone and metabolic research = Hormon- und Stoffwechselforschung = Hormones et metabolisme 2005;37(4):193-7. 53. Bjorntorp P, Rosmond R. Obesity and cortisol. Nutrition 2000;16(10):924-36. 54. Pasquali R, Vicennati V, Cacciari M, Pagotto U. The hypothalamic-pituitary-adrenal axis activity in obesity and the metabolic syndrome. Annals of the New York Academy of Sciences 2006;1083:111-28. 55. Couet C, Delarue J, Ritz P, Antoine JM, Lamisse F. Effect of dietary fish oil on body fat mass and basal fat oxidation in healthy adults. International journal of obesity and related metabolic disorders : journal of the International Association for the Study of Obesity 1997;21(8):637-43. 56. Huffman DM, Michaelson JL, Thomas T, R. . Chronic supplementation with fish oil increases fat oxidation during exercise in young men. . JEPonline 2004;7(1):48-56. 57. Delarue J, Couet C, Cohen R, Brechot JF, Antoine JM, Lamisse F. Effects of fish oil on metabolic responses to oral fructose and glucose loads in healthy humans. The American journal of physiology 1996;270(2 Pt 1):E353-62. 58. Hill AM, Buckley JD, Murphy KJ, Howe PR. Combining fish-oil supplements with regular aerobic exercise improves body composition and cardiovascular disease risk factors. The American journal of clinical nutrition 2007;85(5):1267-74. 59. Thorsdottir I, Tomasson H, Gunnarsdottir I, Gisladottir E, Kiely M, Parra MD, et al. Randomized trial of weight-loss-diets for young adults varying in fish and fish oil content. Int J Obes (Lond) 2007;31(10):1560-6. 60. Brilla LR, Landerholm TE. Effect of fish oil supplementation and exercise on serum lipids and aerobic fitness. The Journal of sports medicine and physical fitness 1990;30(2):173-80. 61. Warner JG, Jr., Ullrich IH, Albrink MJ, Yeater RA. Combined effects of aerobic exercise and omega-3 fatty acids in hyperlipidemic persons. Medicine and science in sports and exercise 1989;21(5):498-505. 62. Krebs JD, Browning LM, McLean NK, Rothwell JL, Mishra GD, Moore CS, et al. Additive benefits of long-chain n-3 polyunsaturated fatty acids and weight-loss in the management of cardiovascular disease risk in overweight hyperinsulinaemic women. Int J Obes (Lond) 2006;30(10):1535-44. 63. DeFina LF, Marcoux LG, Devers SM, Cleaver JP, Willis BL. Effects of omega-3 supplementation in combination with diet and exercise on weight loss and body composition. The American journal of clinical nutrition 2011;93(2):455-62. 64. Bays HE, Maki KC, Doyle RT, Stein E. The effect of prescription omega-3 fatty acids on body weight after 8 to 16 weeks of treatment for very high triglyceride levels. Postgraduate medicine 2009;121(5):145-50. Monica Mollica has a Bachelor’s and Master’s degree in Nutrition from the University of Stockholm, Sweden, and is an ISSA Certified Personal Trainer. She works a dietary consultant, health journalist and writer for www.BrinkZone.com, and is also a web designer and videographer; Monica has admired and been fascinated by muscular and sculptured strong athletic bodies since childhood, and discovered bodybuilding as an early teenager. Realizing the importance of nutrition for maximal results in the gym, she went for a major in Nutrition at the University. During her years at the University she was a regular contributor to the Swedish bodybuilding magazine BODY, and she has published the book (in Swedish) “Functional Foods for Health and Energy Balance”, and authored several book chapters in Swedish publications. It was her insatiable thirst for knowledge and scientific research in the area of bodybuilding and health that brought her to the US. She has completed one semester at the PhD-program “Exercise, Nutrition and Preventive Health” at Baylor University Texas, at the department of Health Human Performance and Recreation, and worked as an ISSA certified personal trainer. Today, Monica is sharing her solid experience by doing dietary consultations and writing about topics related to bodybuilding, fitness, health and anti-aging. This entry was posted in Articles, Sports Nutrition and tagged DHA, EPA, fish fat, fish oil, omega 3 on January 27, 2012 by SNI.